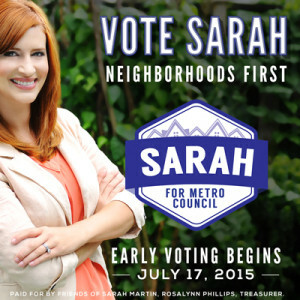 Sarah Martin approached us during her run for Councilwoman in Nashville’s District 5. 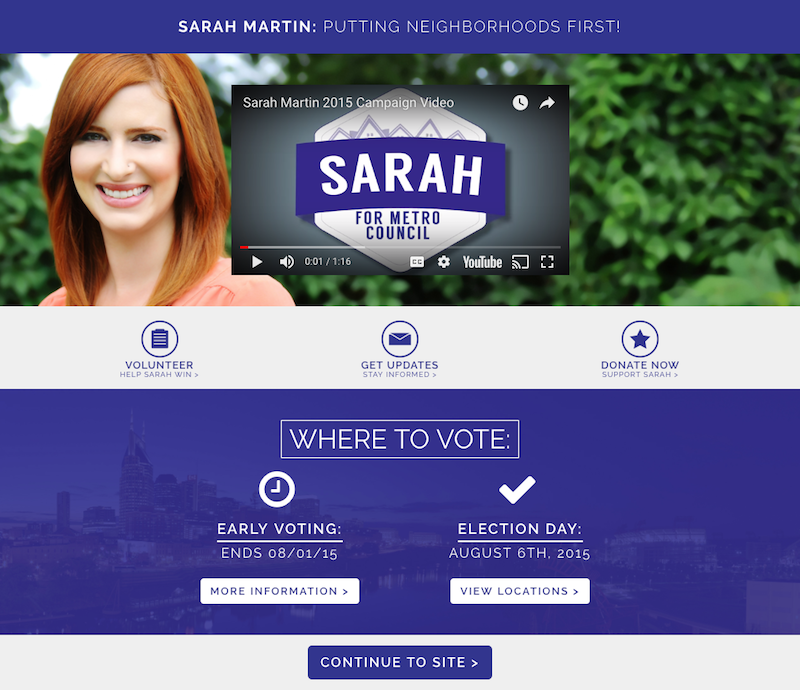 We helped Martin with many pieces of marketing collateral for her political campaign, including: flyers, email marketing, videography, search engine marketing, and website development. 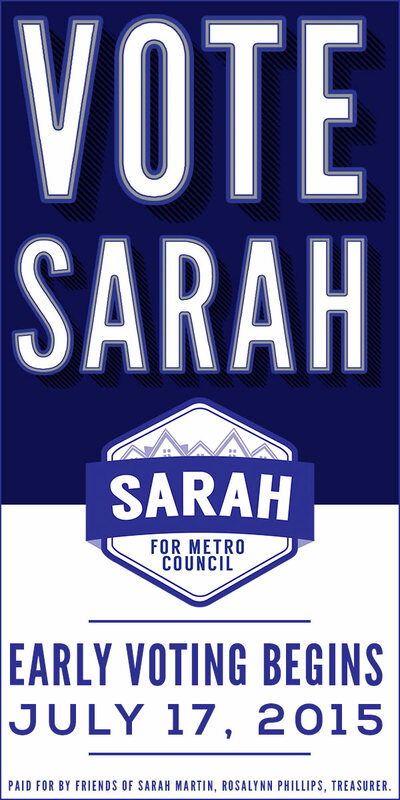 Our political campaign video ad was an essential part of our marketing efforts to get Sarah elected in the 2015 campaign. The video covered the topics most important to the candidate and illustrated her commitment to the community. Our “Get Out the Vote” landing page was dedicated to helping spread the word about the political candidate, share voting locations, and important resources for voting, while also promoting our candidate through video. This cover photo was used on the campaign Facebook page. 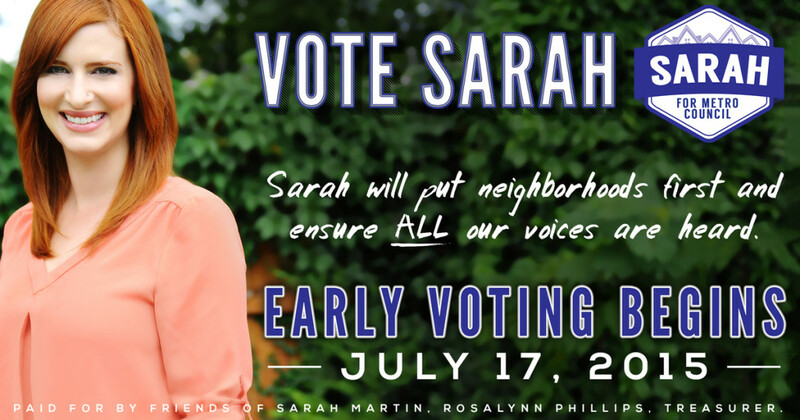 This political ad was used in a variety of sizes and styles in targeted demographic marketing through Google Adsense and in retargeting campaigns.